A friend’s friend’s band – the Great Last. Regardless – I’ll be as objective as possible. Turned up too late to see the first two bands. You wouldn’t have noticed – the room was bare, except for around ten people hugging the bar at the back of the room. The Great Last came on and requested everyone moved forward, which we dutifully did. 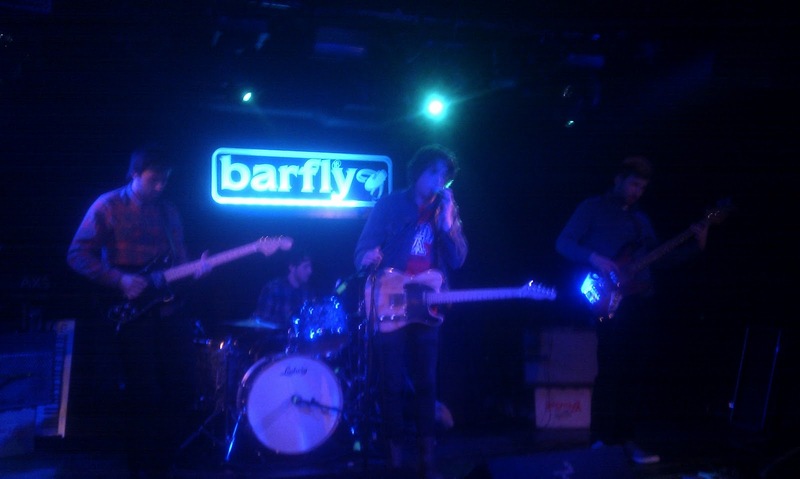 The band played a short set – they sounded like the dirty little lovechild of Arctic Monkeys and Kaiser Chiefs. They have all the minerals – arrogant singer, tight drummer, locked in bassist, confused-by-own-pedals guitarist and decent keyboardist. Decent enough for Friday 13th at Camden Barfly.